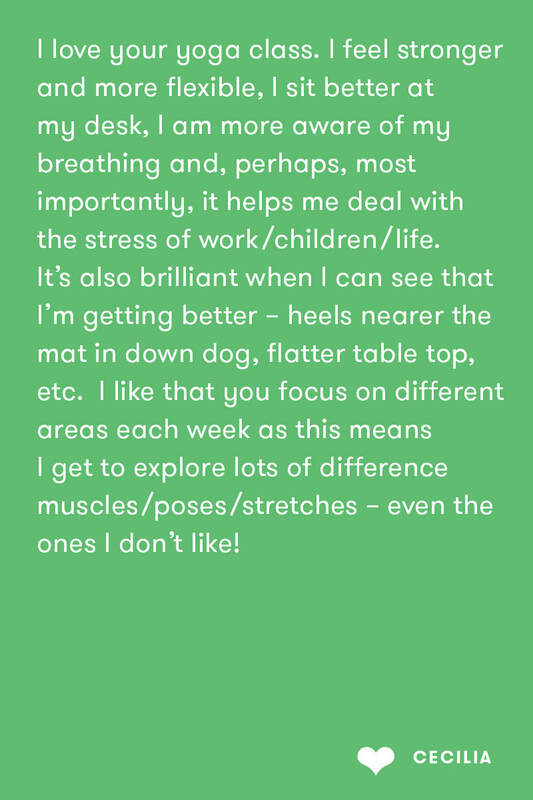 Whatever your exercise background (whether complete beginner or seasoned practitioner) making time for a mind-body session at least once a week will allow you to notice positive differences to your Self, your Posture, your Energy, your Mood - and because of this increased awareness, even your attitudes to your work and home-life can improve. 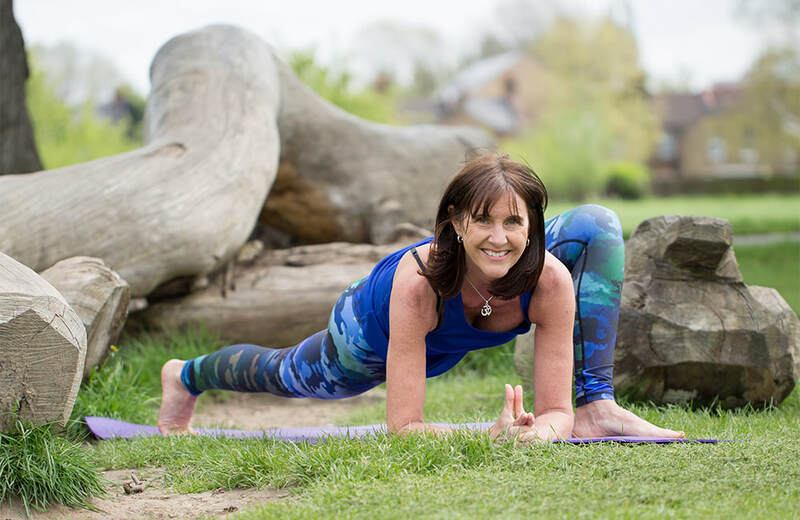 The practice of asanas (physical poses and movements) with awareness allows you to achieve a strong, stable and supple body which can enhance your energetic state as well as giving you feelings of overall wellbeing. There’s a close relationship to the breath (pranayama) in the Yoga Tradition and conscious breathing contributes to mental equilibrium and clarity of mind. During class you will experience concentration and attentiveness, known as ‘mindfulness’ as well as the deep releasing relaxation that provides inner calm and peace. 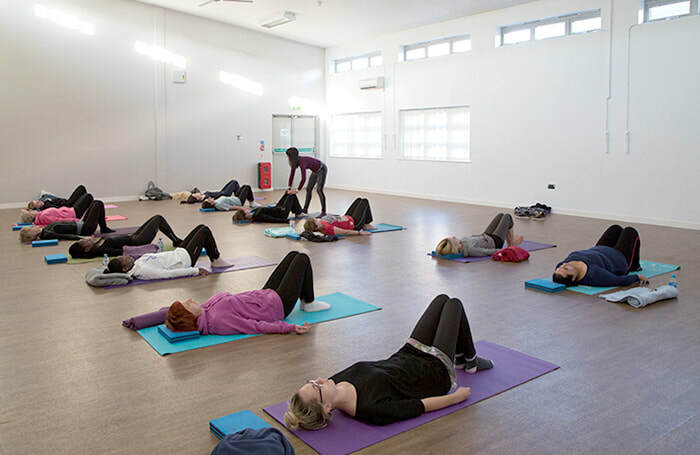 Mat-Based Pilates focuses on movements that tone and strengthen the inner body by conditioning the deepest muscles at the body’s centre or ’core’. With precise tuition in The Pilates Method, you will learn how to improve your posture, breathe better and ease back pain while discovering better alignment and enhancing your mind/body awareness. My skills lie in guiding your practice so that your participation is enjoyable and safe. Regular exercise does not need to become boring and class content is varied and inspiring. Many of us are in jobs or use repeated activities that can adversely affect our posture. You may have suffered an injury, accident or trauma. Your body’s response to this; with stress, and even emotional events included; can cause some muscles to over-tighten and become fixed, weak or malfunctioning. Deep-seated stress will also impact your ability to breathe well. You may feel stiff, immobile, tense and in pain. Somatic Movement Education uses your brain to body connections to create neuromuscular changes so that you relearn how to relax and control these tight muscles. Even after one session you may feel new mobility and freedom in your joints, muscles and breath. 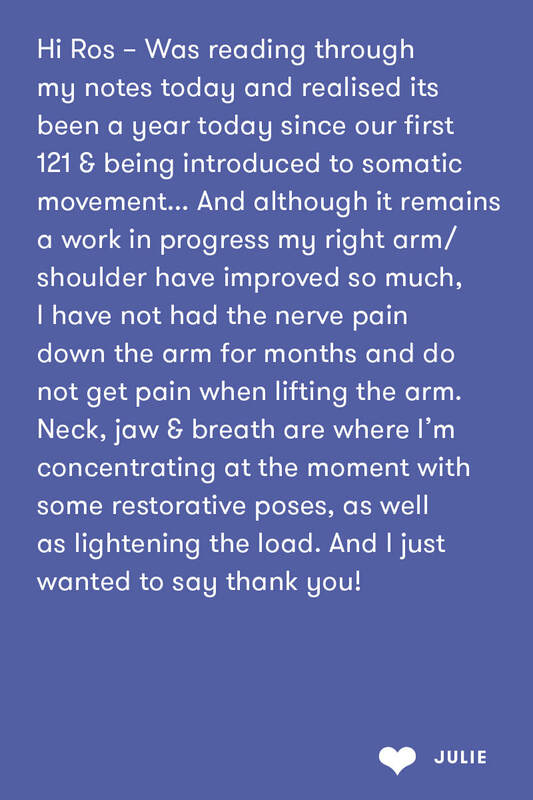 You CAN learn how to alleviate chronic muscular tension and ease your pain in a private 121 session with me.